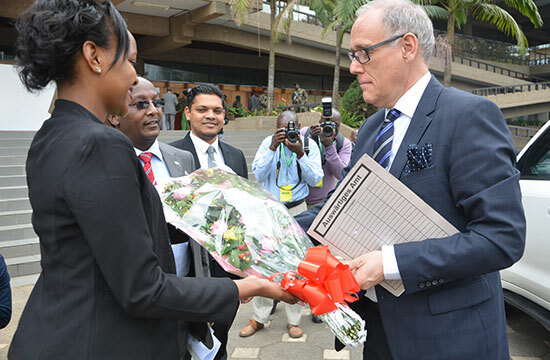 Mr. Michael Derus, Charge D'Affaires of The Federal Republic of Germany in Kenya being greeted on his arrival at Kenyatta International Convention Center. 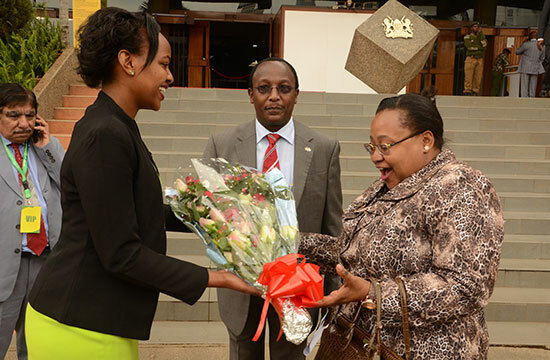 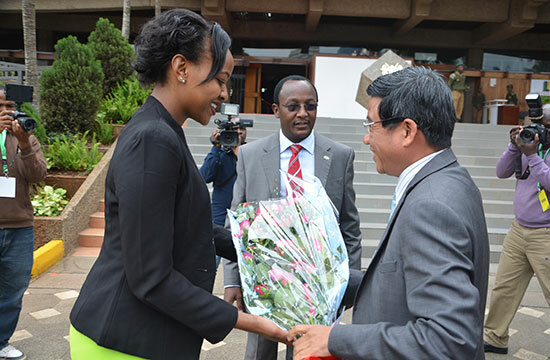 Dr. Pindi Chana, High Commissioner of Tanzania in Kenya being greeted at KICC for the inauguration. 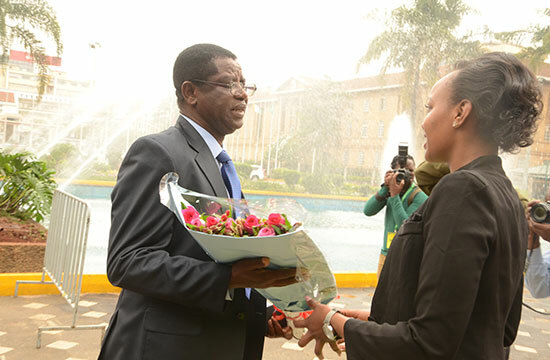 High Commissioner of Nigeria in Kenya Mr. Sheidu Omeiza Momoh, arriving at the opening ceremony. 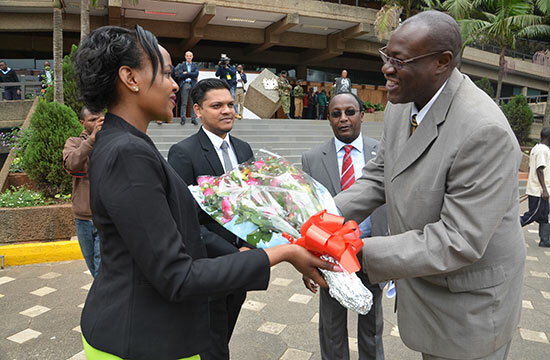 Director for Trade and representing Kenya's Ministry of Industry, Trade and Cooperatives, Mr. Roy Otieno arriving at KICC Nairobi. 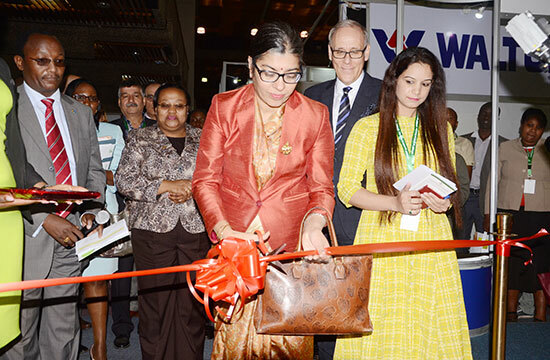 Ambassador of Thailand Embassy in Kenya, was at the exhibition to promote and support the companies from Thailand. 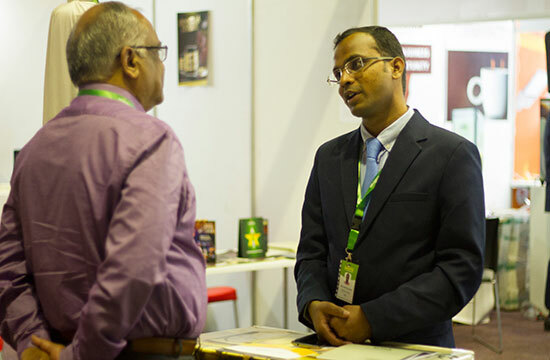 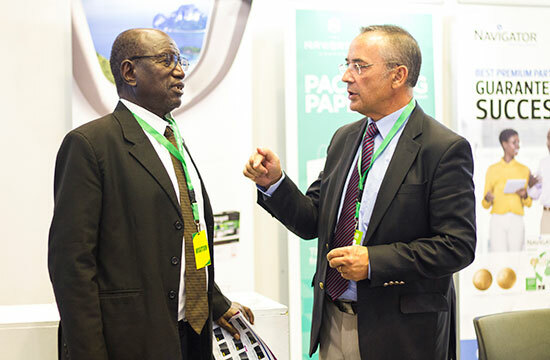 He shared valuable insights and tips for the participating exhibitors. Mr. Roy Otieno, while sharing a light moment with the German Charge D'Affaires Mr. Michael Derus and the Indian High Commissioner Ms. Suchitra Durai, officially declared the exhibition open. 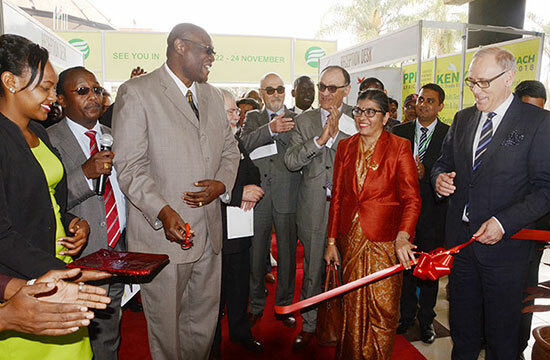 Mr. Roy Otieno the Chief Guest at the exhibition, addressing the dignitaries, visitors and exhibitors. 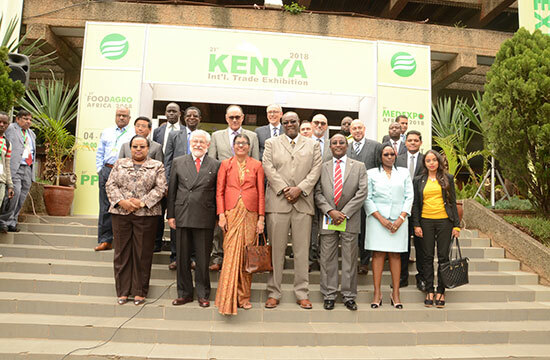 He welcomed all participants and spoke about the commitment of the Kenyan Government towards the promotion of international trade and import partnerships. 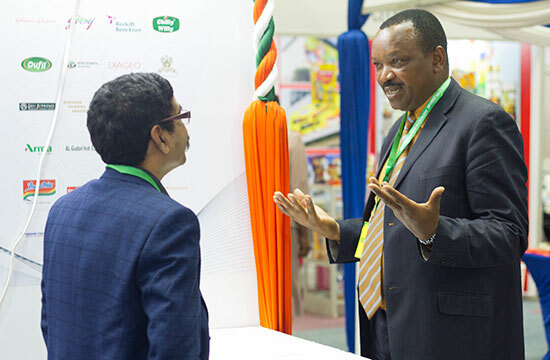 He also said the exhibition is a great opportunity for Kenyan traders, dealers and distributers to bring more internationally produced goods and services so that Kenyan buyers are provided with better options in the market and local manufactures can raise their quality standards. 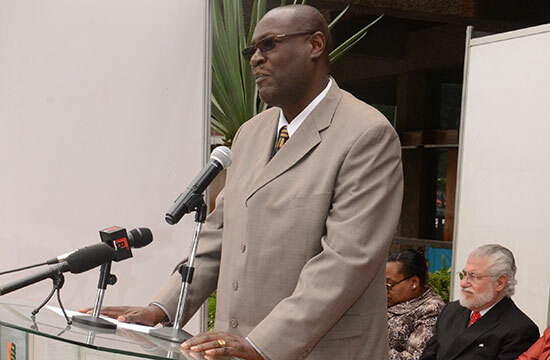 Mr. Michael Derus speaking about the trade ties between Germany, European Union, Kenya and the rest of East Africa. 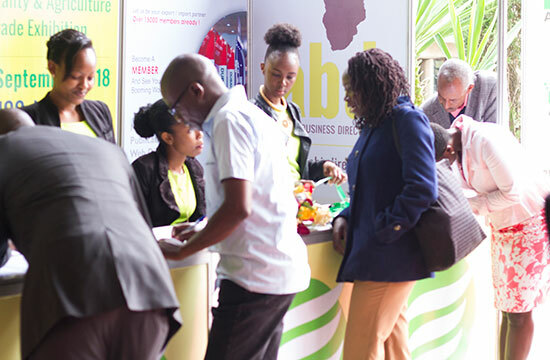 He invited more European and German companies to invest into East Africa and highlighted the benefits of the trade promotions between the European Union and the EAC. 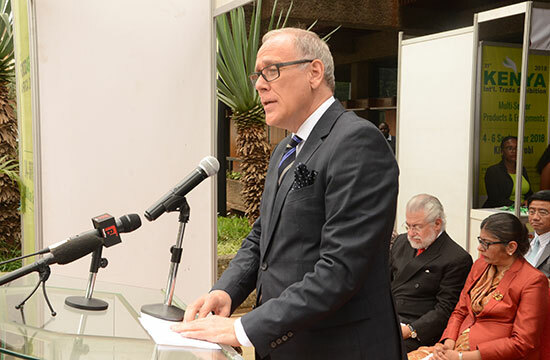 The German Charge D'Affaires in Kenya shared his thoughts on how more trade opportunities can be explored and what his organization is prepared to do to boost ties between Nairobi and Berlin. 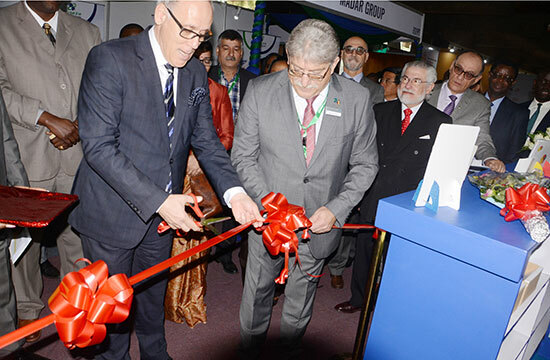 Mr. Michael Derus officially inaugurated the German Pavilion at the event. 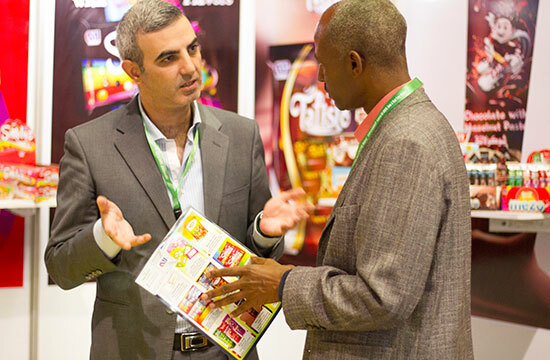 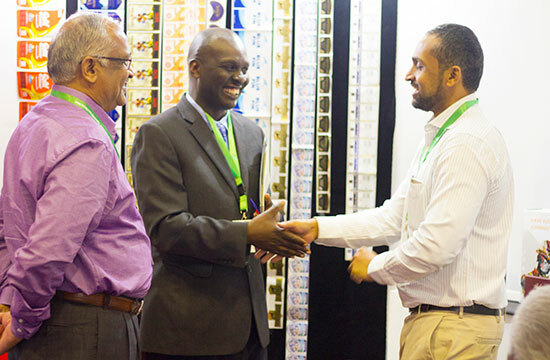 His support and insights proved very valuable to the participating exhibitors. 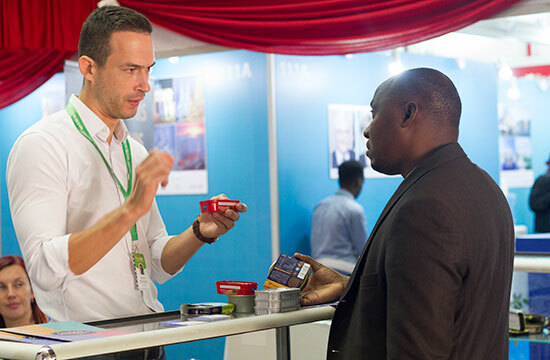 He met with the officials from the Federal Ministry for Economic Affairs and Energy (BMWI) Germany and the Bavarian Ministry of Economic Affairs, Energy And Technology at the event and discussed how to best support the interests of the European manufacturers exporting to East Africa. 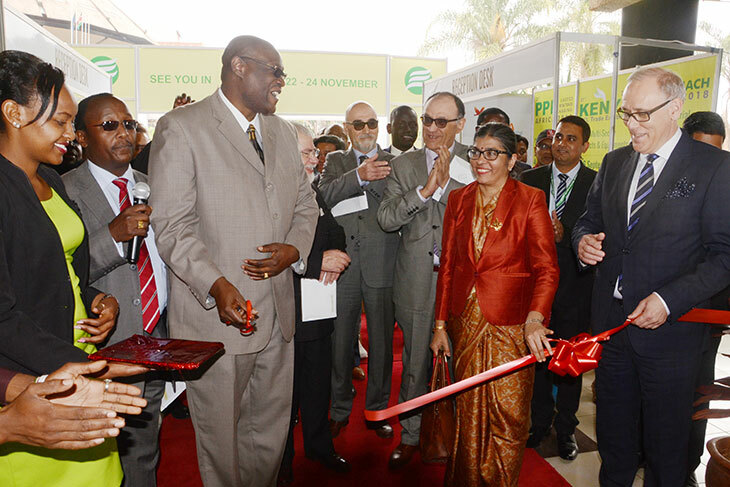 Ms. Suchitra Durai, High Commissioner of India in Kenya cut the ribbon declaring the India Pavilion open. 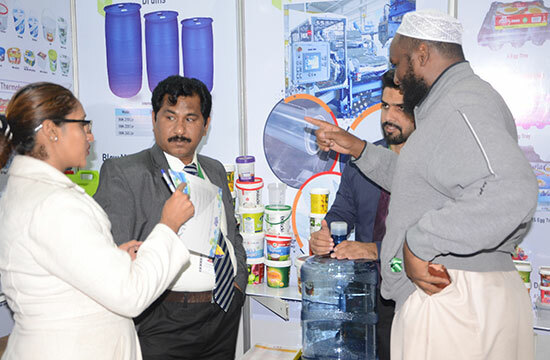 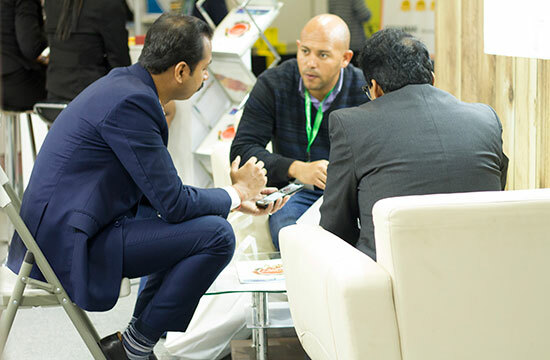 She met with each and every exhibitor at the event and especially the one from India to extend the support of the Indian government to the participants. 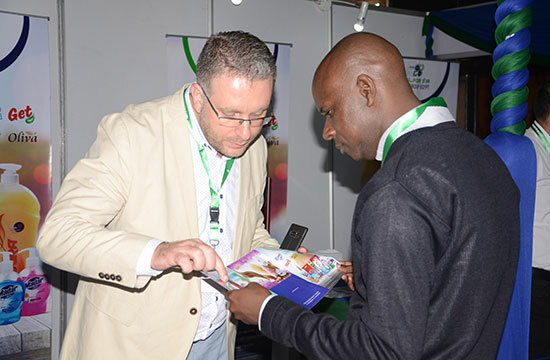 The exhibitors also got an opportunity to discuss their business opportunities first hand and get valuable insights on the market, business, political and economic status of the country.